Meticulously drawn in lyrical prose, this tale of death and rebirth, devastation and redemption, will draw you into a world of beauty and pain, as alluring as it is dangerous. 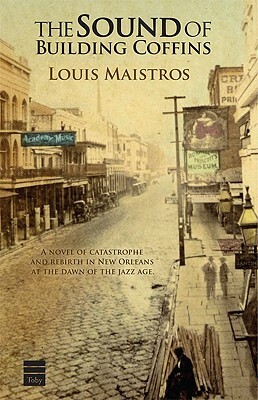 It is 1891 in New Orleans, and young Typhus Morningstar cycles under the light of the half-moon to fulfill his calling, rebirthing aborted fetuses in the fecund waters of the Mississippi River. He cannot know that nearby, events are unfolding that will change his life forever - events that were set in motion by a Voodoo curse gone awry 40 years before he was born. All will be irrevocably changed by a demonic struggle, and by the sound of a new musical form: jazz.